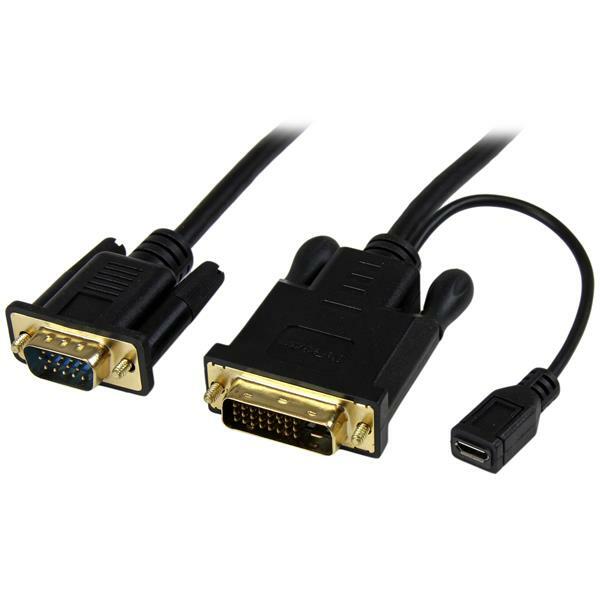 The DVI2VGAMM3 3ft active DVI to VGA converter cable lets you connect your DVI video source directly to a VGA monitor or projector, with no additional adapters or cables required. 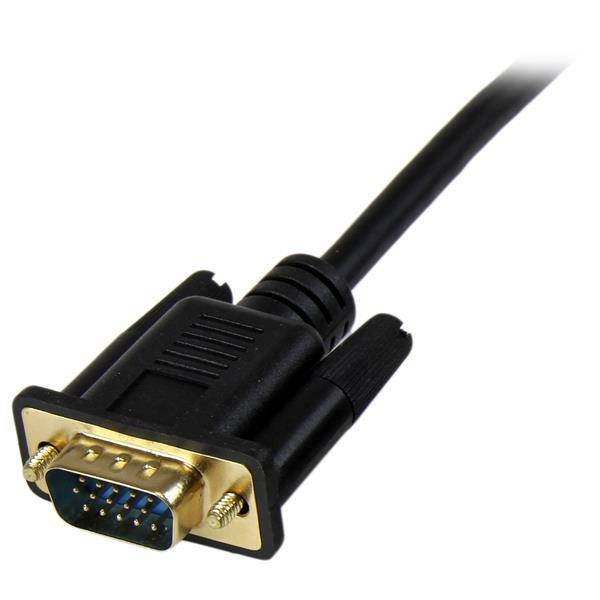 The DVI2VGAMM3 is 3 feet (0.9 meters) in length, and part of a complete DVI to VGA adapter cable line, featuring two other cables at 6 feet(DVI2VGAMM6) and 10 feet(DVI2VGAMM10), enabling you to choose a customized cable length for your installation. Don't be fooled by analog DVI adapters that work with a DVI-I port. They won’t work with your digital DVI signal, and won't even fit into a DVI-D port. 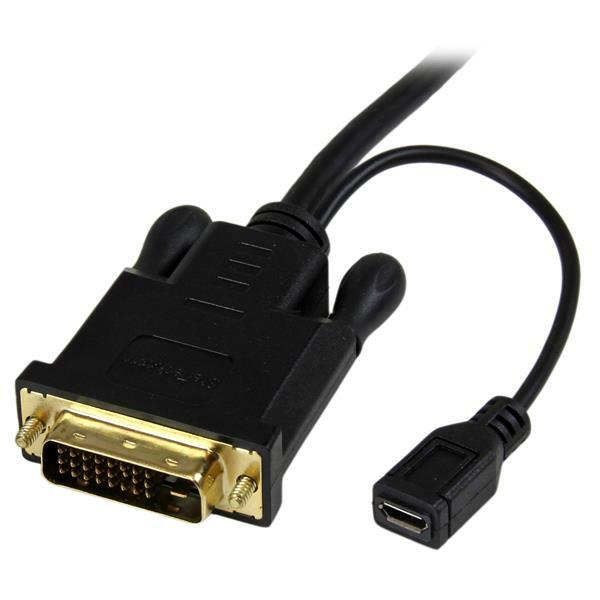 The DVI2VGAMM3 is an end-to-end cable adapter solution that connects directly from your digital DVI-D computer to your VGA monitor or projector in one simple cable, saving you the hassle of combining a DVI to VGA adapter with a bulky VGA cable, perfect for connecting a DVI-equipped POS computer or kiosk to a touch screen monitor that only supports VGA. Plus, unlike most digital DVI to VGA adapters which require a power outlet to convert the video signal, the DVI2VGAMM3 doesn’t need external power in most installations. For added convenience and compatibility with low-powered DVI video cards, the DVI2VGAMM3 features an optional integrated USB power source (USB cable not included), making it perfect for boardroom or classroom projectors that require a simple installation, that may need to work with more than one computer system. In the past converting digital DVI to VGA was a difficult and expensive task that often resulted in upgrading to a DVI-D display. Avoid upgrade costs by connecting your DVI-D video source to your existing VGA display using the DVI2VGAMM3. Plus, because the adapter cable supports video resolution up to 1920x1200 you can rest assured you can use your existing VGA monitor or projector while maintaining high-definition video quality. The DVI2VGAMM3 is backed by a 3-year StarTech.com warranty and free lifetime technical support.